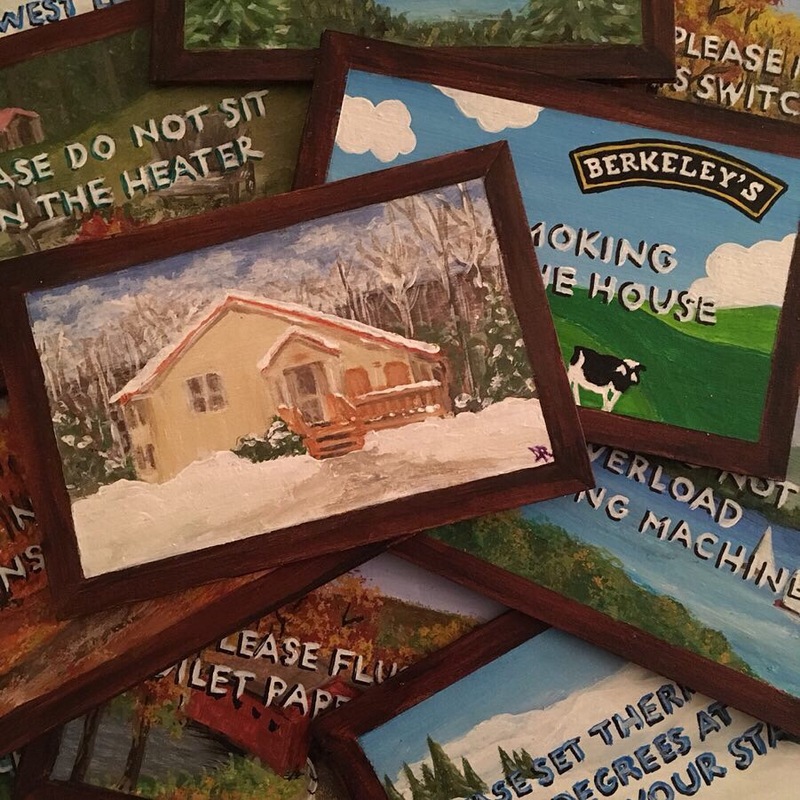 Painted Outlet Covers: Can You Paint Light Switches & Outlet Covers? Walls are covered with an array of light switches, electrical outlets, vents, and speaker covers. 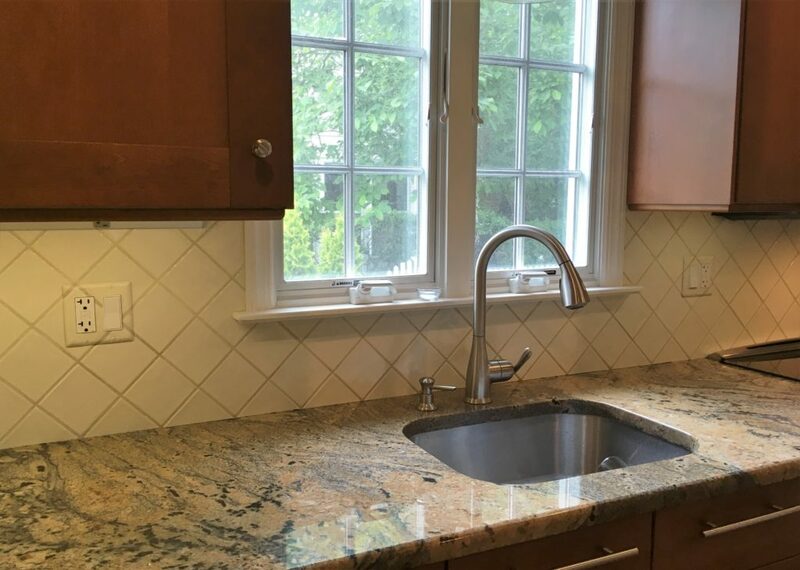 Kitchen backsplash areas are loaded with switches and electric receptacles. Sometimes my clients ask if I can paint these outlet covers and light switches to help blend them into the surrounding wall. What is my approach to painting, with these “interruptions” of the visible surface? On a tiled surface, painting outlet covers and light switches can make them appear to be part of the tile pattern. 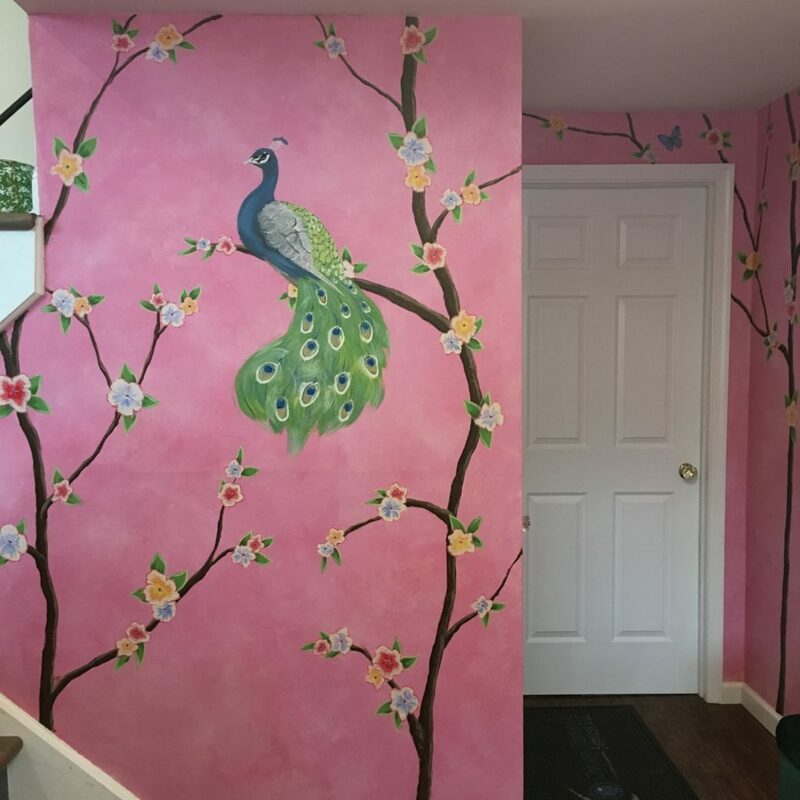 On walls, I include them in the mural or paint finish. Otherwise, they’d stand out and distract from the overall look. Here are a few pictures of some outlet covers I have painted. 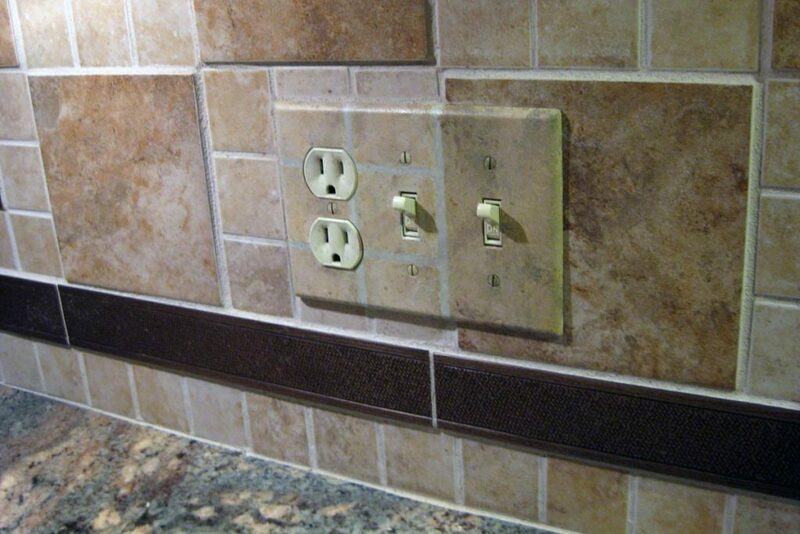 Switch/outlet cover-plates painted to match the design of the marble tile, and blend into the backsplash composition. 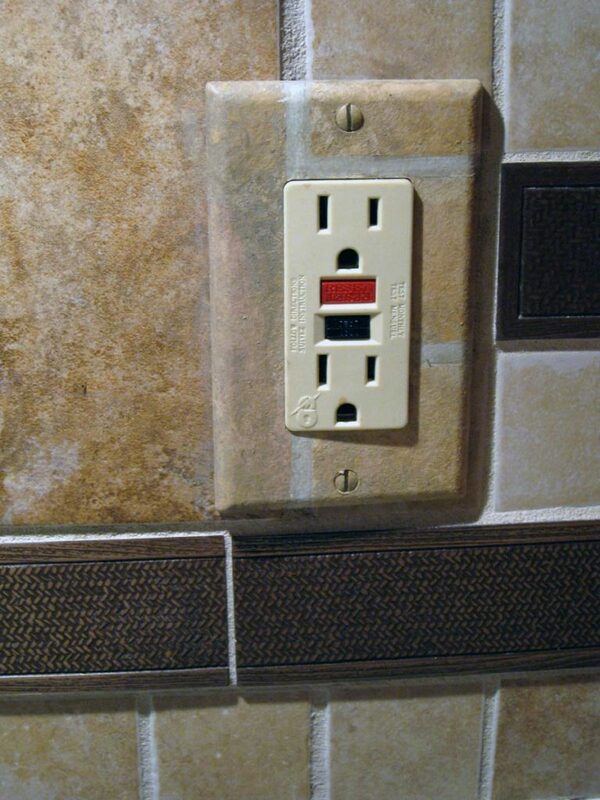 Switch/outlet cover-plates painted to blend into the tile composition. 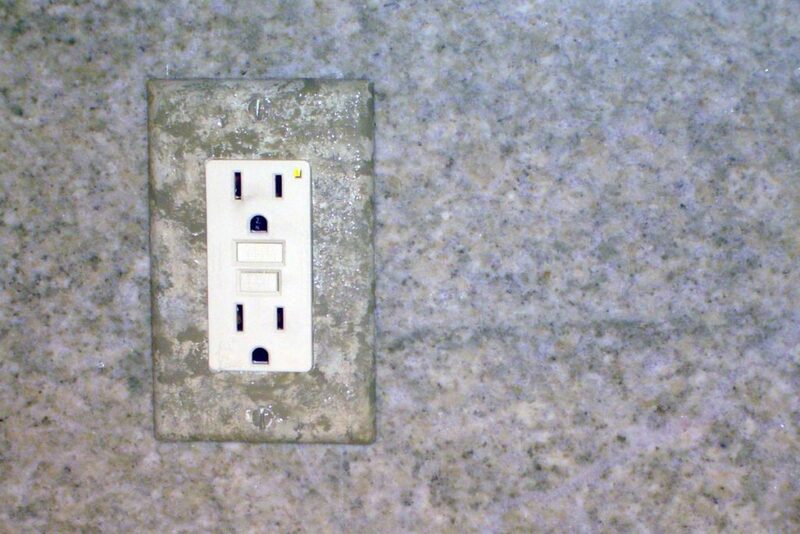 Outlet plate paintd to blend into the green granite backsplash. 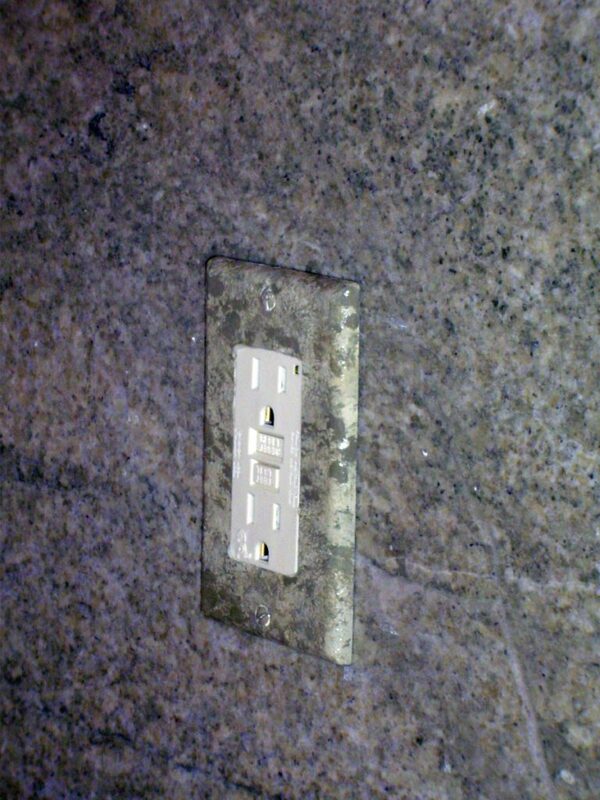 Outlet plates painted to blend into the granite backsplash. 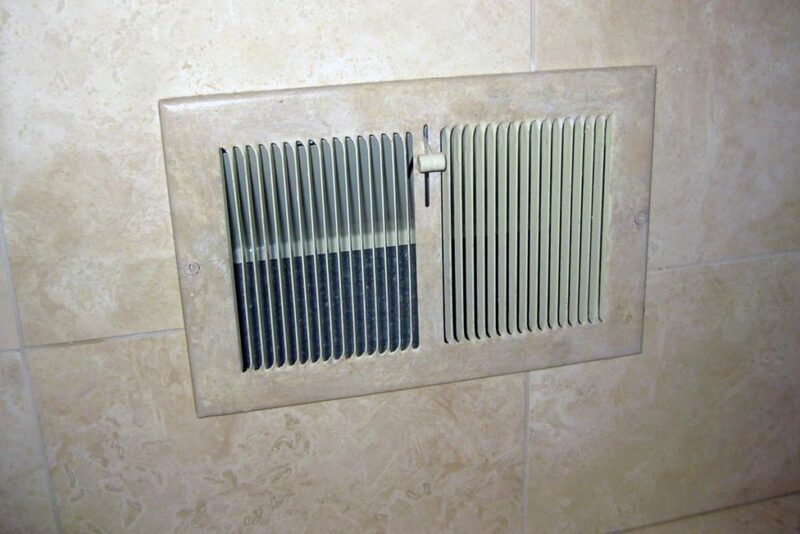 Vent cover painted to blend into travertine walls. 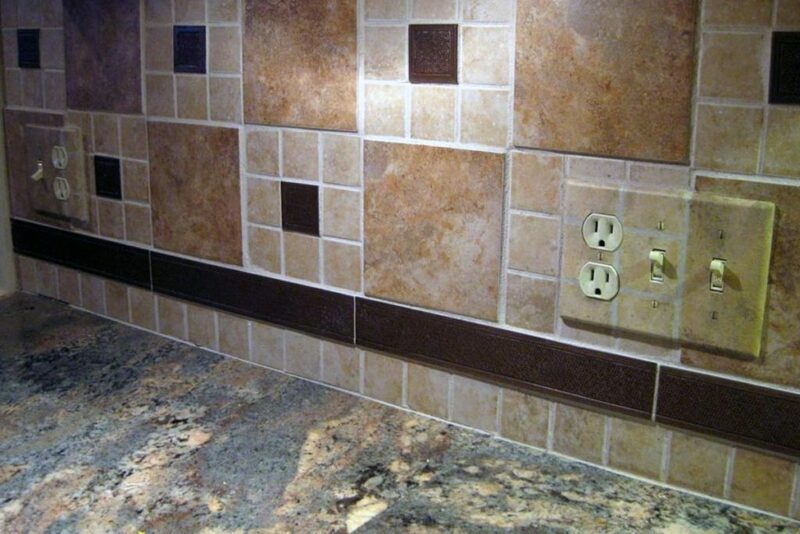 Outlet plate painted to blend into backsplash tile pattern. 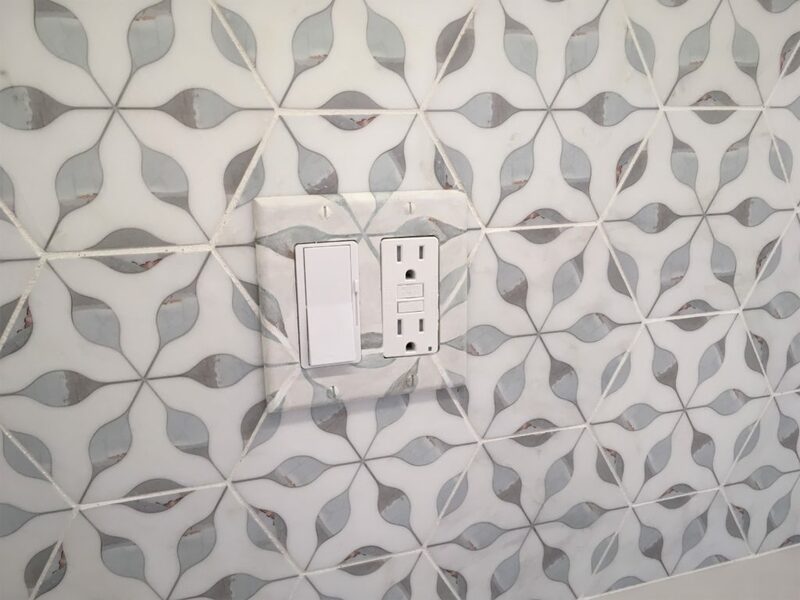 Switch/outlet plate painted to blend into backsplash tile pattern. 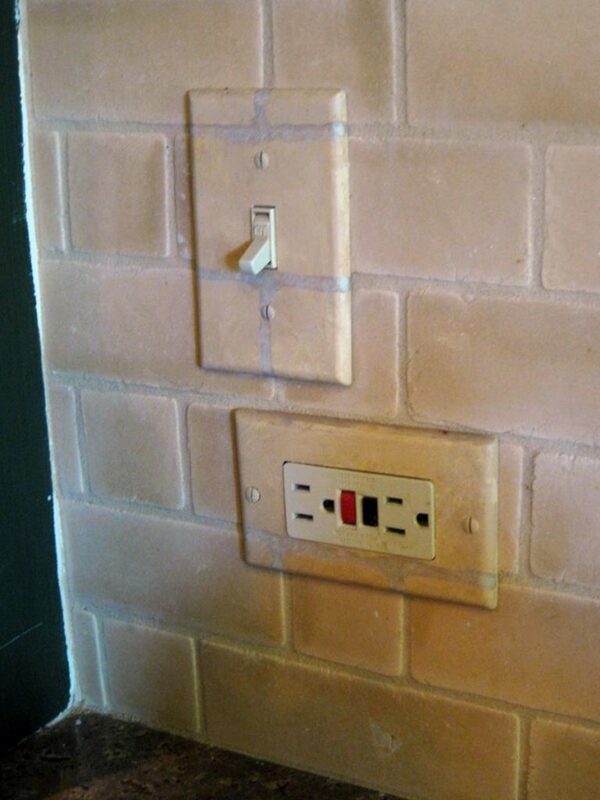 Switch and outlet plate painted to match brick backsplash tile. One of my favorites! 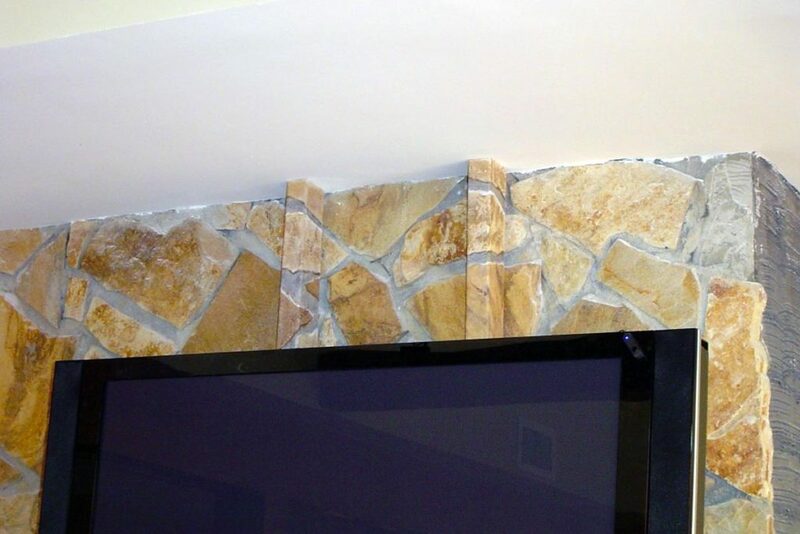 The TV is mounted to a large stone wall above the fireplace, and the contractor built two wood channels to hide all the wiring. But what about hiding them? I painted them to line up and match the surrounding stones! Cable housing from TV mount painted to match and disappear into the stone wall. 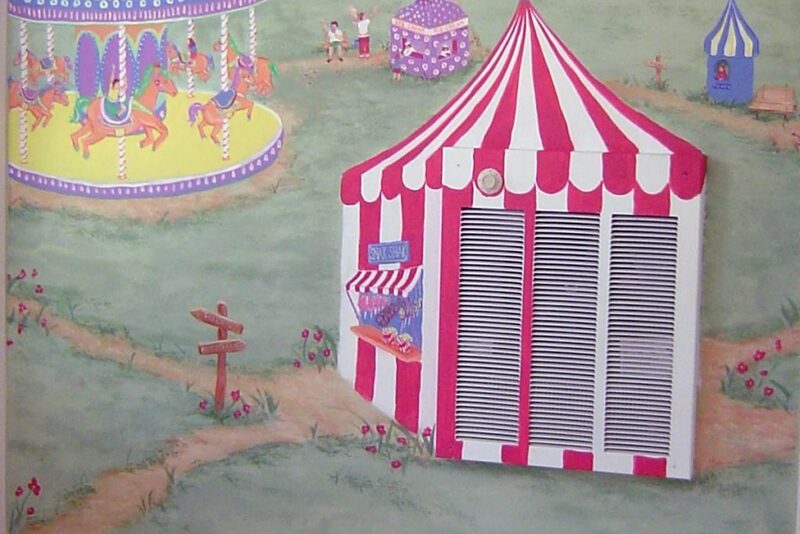 The "snack bar" is painted into a wall-mounted heater panel, becoming part of the amusement park mural. 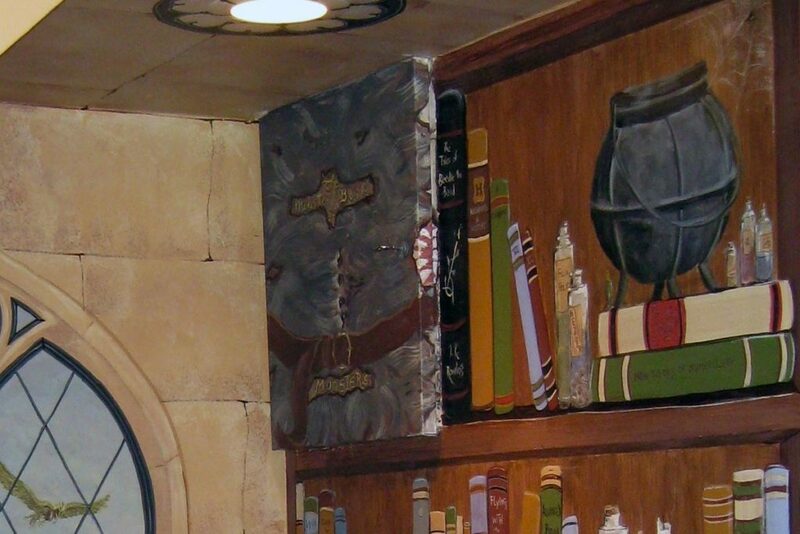 The "Monster Book of Monsters" is painted onto an electrical sub-panel, located under the stairway as part of this Harry Potter nook mural. 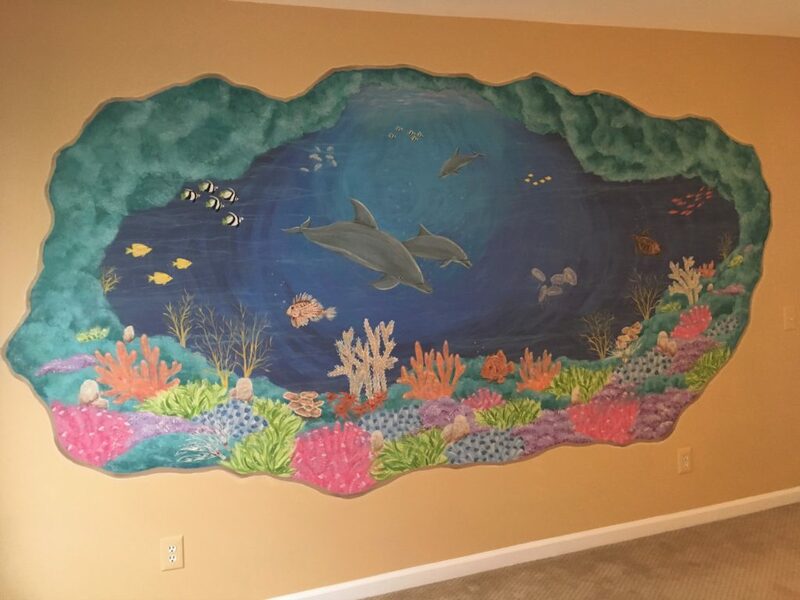 This mural had a few challenges, as the basement wall was broken up by a series of utility access panels. 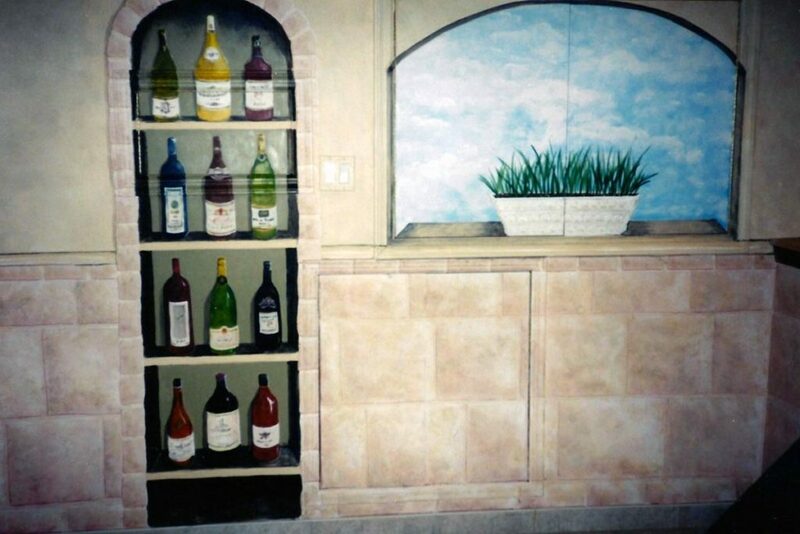 One became the window, one is part of the stone wall, and a third small access panel is hidden in the wine shelf. 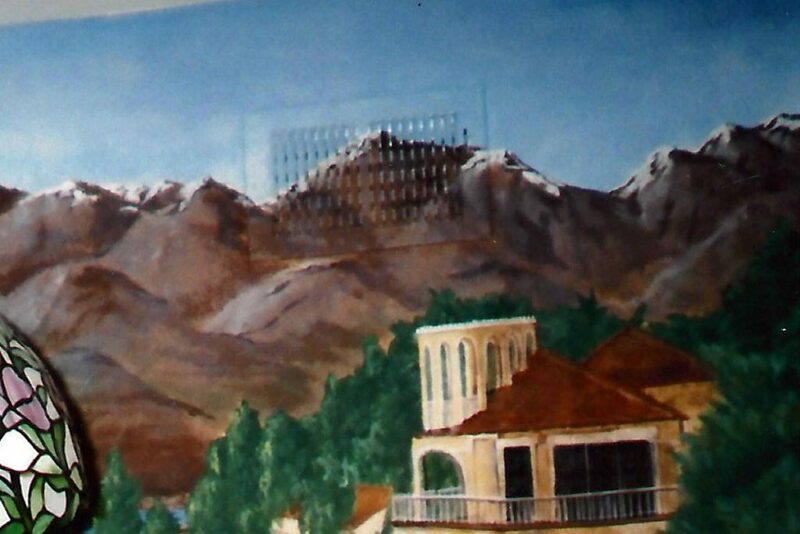 The vent cover disappears into the mountains and sky in this detail from an Italian landscape mural. Absolute continuity of the tile pattern, unbroken by bright white coverplates!